PRESS RELEASE – GOT GAME? Bank of Guam presents the 14th annual SummerJam Basketball Tournament with opening games starting on Friday at 6 pm. Tournament runs thru to August 12 in the 8 and under, 10 and under, 12 and under, 14 and under, 18 and under, men’s varsity and open coed recreation divisions. “This is always an exciting time of the year for basketball players who participate. The tournament continues to develop players who progress and excel. The tournament is a testament to their hard work and commitment to being physically fit,” stated tournament coordinator Elsa Ulloa. Now in its 14th year the event will host 40 teams, 110 games, 400 plus participants and it’s fans visiting Tamuning Gym each week. 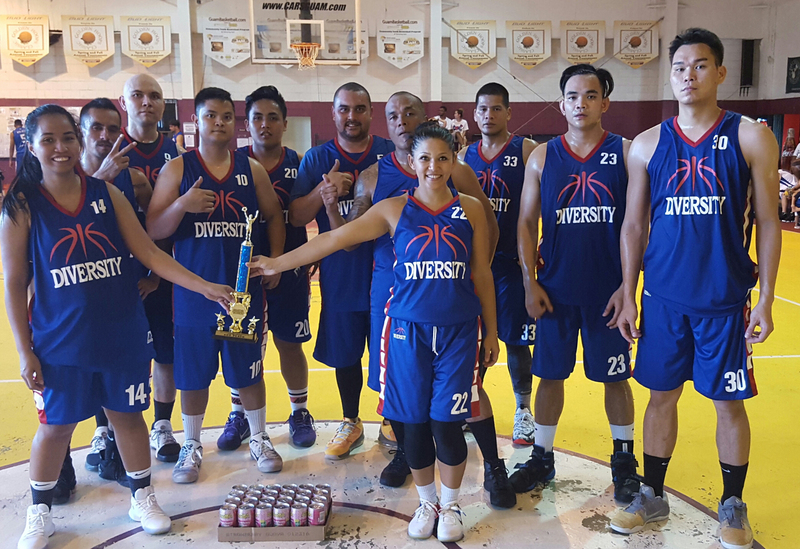 “Each summer it’s great seeing the community come together supporting basketball that keeps Guam youths off the streets in an organized environment,” stated Tamuning-Tumon-Harmon Mayor Louise Rivera. The tournament has presented fans annually with competitive and recreational age division games. It starts with the exciting 8 and 10 under games and ending with the exhilarating men’s varsity division. Many thanks to our supporting sponsors Triple J, Ernst & Young, LLP, Sagua Managu, Ada’s Trust Investment, Mr. Rubbishman, Tan Liu Foundation, GuamBasketball.com, ACAS and the Office of the Mayor for Tamuning-Tumon-Harmon for making this happen each year. All games are held at Tamuning Gym starting at 6 pm on weeknights. Games on Saturday and Sunday start at 11am with the final game being played at 6 pm. Visit www.guambasketball.com for game schedule, results and stats or download our APP GuamBasketball.com for free to receive real time game updates, results via news feed.